Following on from the two biggest opening weekends of the year so far in Godzilla and X-Men: Days of Future Past comes the next film fight. With Malificent and A Million Ways To Die in The West opening this week, (alongside the more modest Coogan vehicle The Trip to Italy), it’s going to be a bunfight at the movie theatre as Robots, Cops and Dragons take over the box office this June. 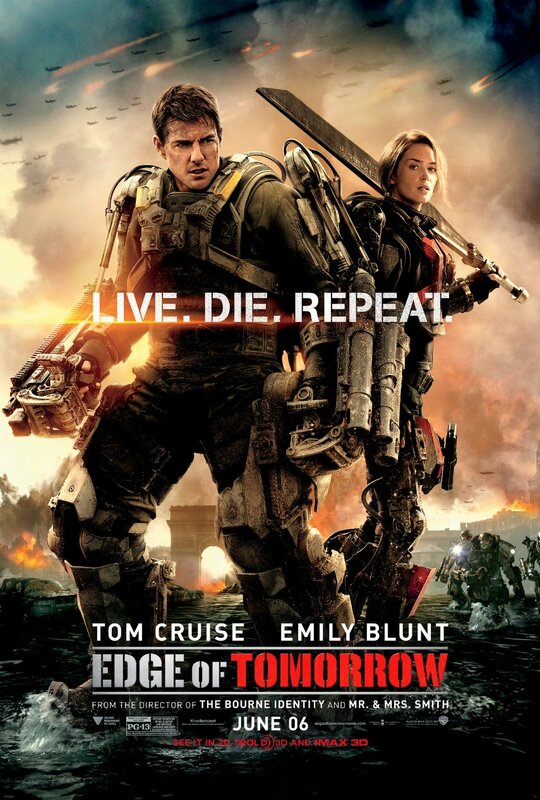 Due for release in Australian Cinemas on June 5th is Tom Cruise’s latest spectacular vision of the future – Edge of Tomorrow. Cruise plays Cage – a soldier fighting in a war with aliens who finds himself caught in a time loop of his last day in the battle. Ironically Cruise’s biggest adversary in terms of Box Office will be Mark Wahlberg who plays the very similarly named Cade, in Michael Bay’s Transformers: Age of Extinction. Add to your Box Office Battle Royale the excellent Channing Tatum and Jonah Hill in the sequel to the Lego Movie directors’ Phil Lord, Christopher Miller 21 Jump St, 22 Jump St (natch) – Tagline – “They Moved” and it’s a great month to head to a cinema. For kids in school holidays, It’s been five years since Hiccup and Toothless successfully united dragons and vikings on the island of Berk, and the winged beasts are back with some new playmates, and enemies, in How to Train Your Dragon 2. Last but not least David Michod’s highly anticipated second feature film “The Rover”, and Adam Sandler’s latest effort Blended will make June a month to remeber. Best of luck, and may the best film win this epic Box Office Bonanza. Previous Post Film Review – X-Men: Days of Future Past.